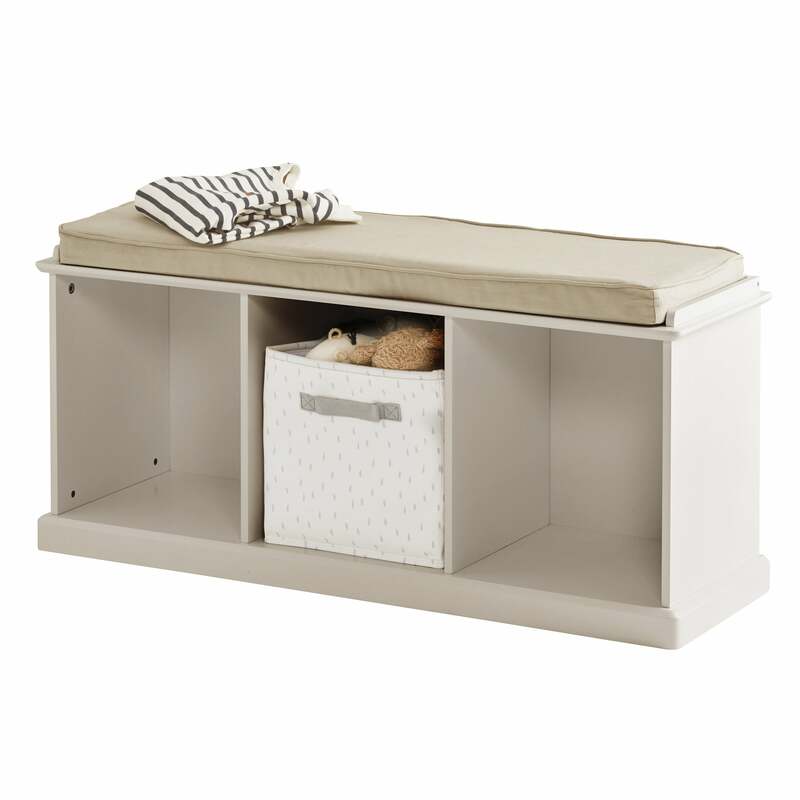 Abbeville Storage Bench, Stone | Great Little Trading Co. 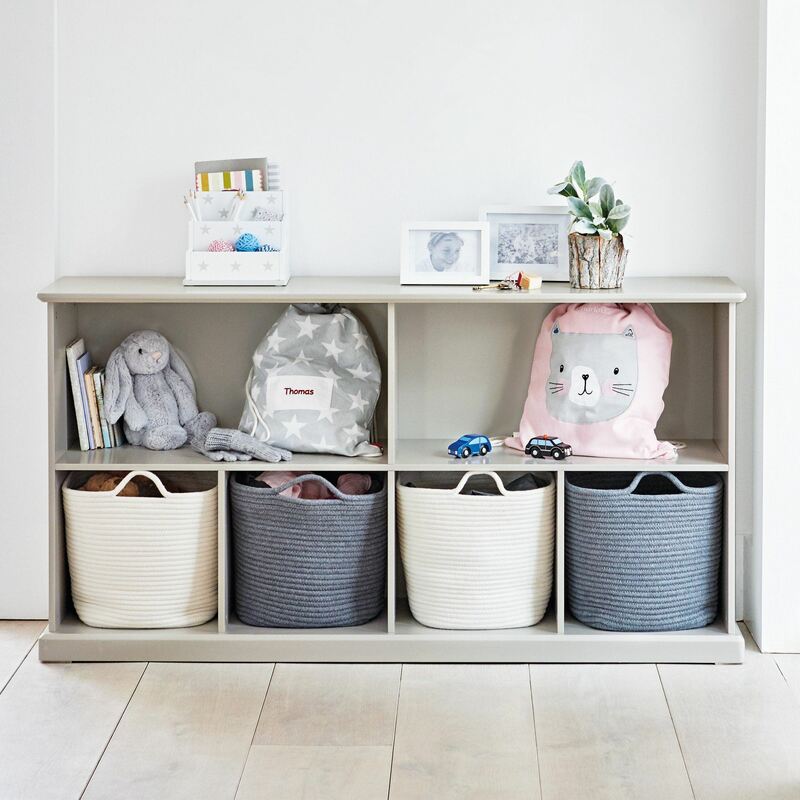 This gorgeous storage bench is a super versatile piece; team it up with the Natural Seat Cushion for hallways, kitchens or family spaces. It's made from sturdy MDF and painted with a stone, matt finish. you might like to team it up with the matching Abbeville Storage Shelf Unit, the Abbeville Nine Cube Storage, or the Abbeville Long Shelf Unit. 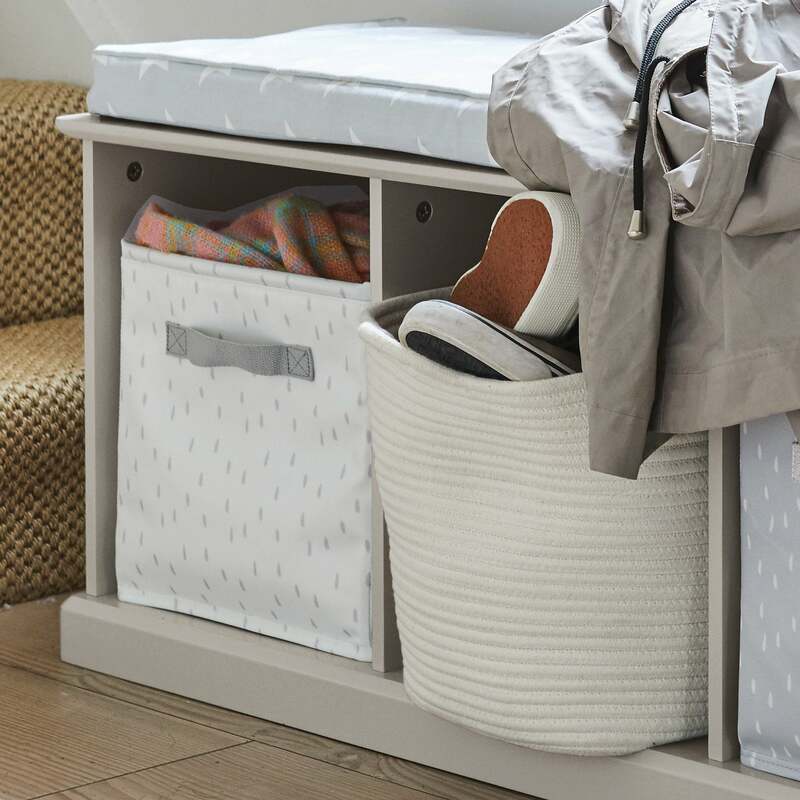 Add our Woven Storage Baskets, or Oilcloth Storage Cubes for extra neatness - it's a match made in heaven.